A long time ago (early 90’s in Indianapolis?) I heard my first Godly Play story. 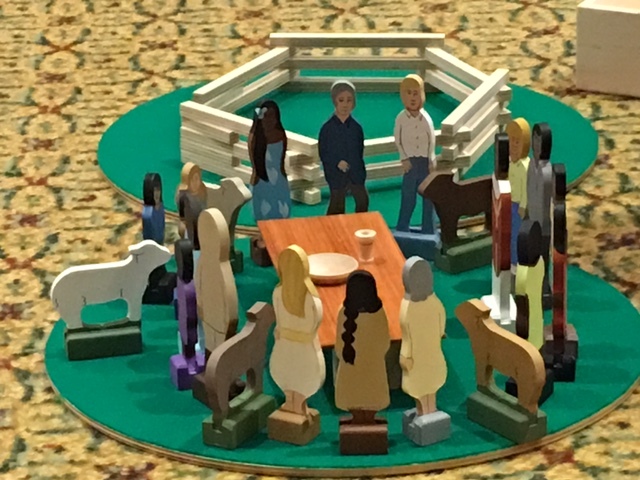 I was sitting on the floor in a circle with others, listening to Jerome Berryman tell the Parable of the Good Shepherd. It changed my way of sharing the biblical story with children, as well as youth and adults. Since then, I’ve attended (and organized) numerous trainings and workshops to dig deeper and sharpen my skills. And while I don’t have a Godly Play room in which to practice, I have many of the artifacts carefully stored in large containers in my basement to be at the ready whenever called upon to tell as story with the children (or in a sermon) at my home congregation. (You can view my telling of the Faces of Easter here). Most recently, I’ve been shepherding the revisions and expansions to The Complete Guide to Godly Play (Volumes 2, 3, and 4 thus far) as an editor with Church Publishing. It’s a privilege to work with the leadership of the Godly Play Foundation in providing these updated books and stories. The revisions include new stories (Volume 2: The Holy Bible; Volume 3: Side-by-Side Parable and Making Silence; Volume 4: Saul Changes), many new illustrations, and updated language to all the stories to reflect feedback from Godly Play trainers and storytellers. 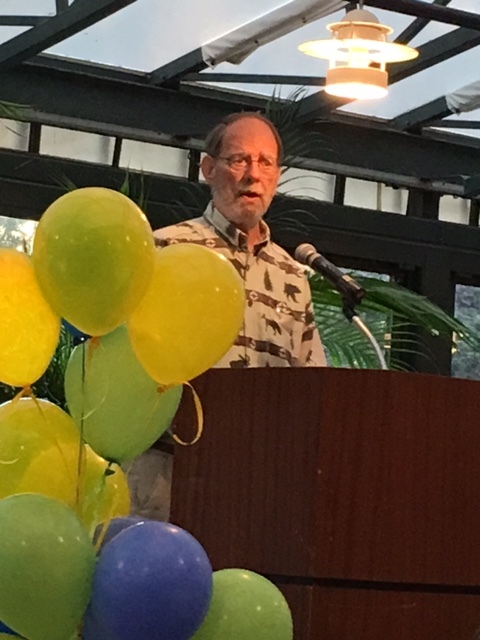 In June I attended the biennial North American Godly Play Conference in Denver to coincide with Jerome’s 80th birthday. The conference was like “coming home” to all things Godly Play. And those who have been trained in this Montessori-method of nurturing the spiritual lives of children know what I mean. “Rotations” (mini-workshops) were scattered throughout the three days in which close to 200 individuals (from as far away as South Korea) sat on the floor to hone our skills and learn new ways of bringing the stories to older children as well as worship settings. Plenaries involved sharing how Godly Play began, where it is today, and what lies ahead. How do I engage older children that have “outgrown” Godly Play? Children don’t outgrow Godly Play. Following the Spiral Curriculum, telling side-by-side stories, enhancing your response materials so that they match the increasing abilities of older children are just some of the ways to go deeper with children. This is when you will discover children reflecting theologically in even deeper ways with the Godly Play stories. Below are some photos from the conference on more sophisticated response materials. What are the revisions – do I need to get new books? YES – lots of updates, revisions, and new stories. Cheryl Minor shares all of the changes in this article, well worth reading and digesting: Curriculum Updates and Revisions in the Expanded 2nd edition of Volume 2. What is Godly Play Digital? 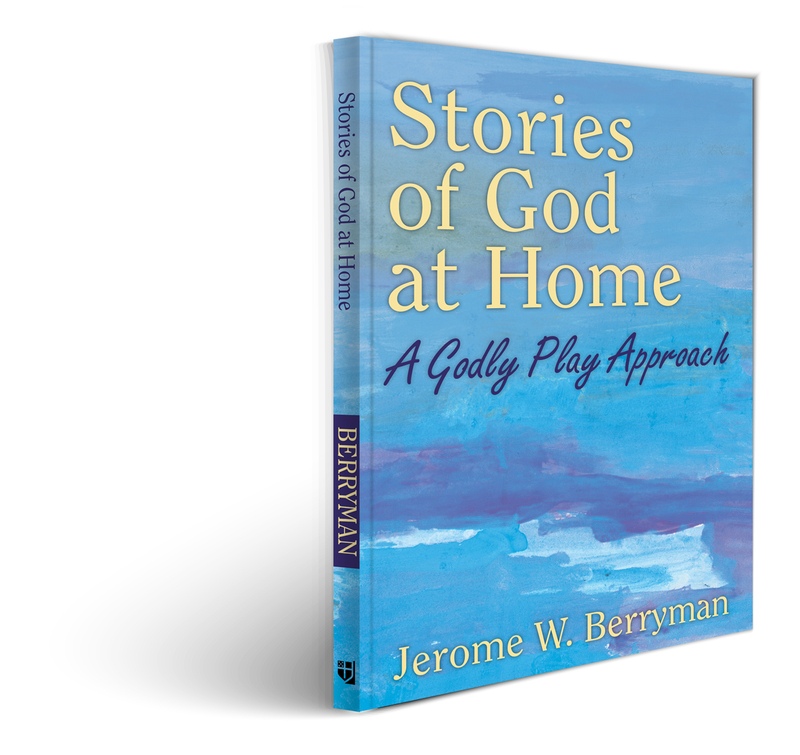 Stories from each volume that you can purchase and download individually with permission to make copies for your Godly Play mentors at your church. Do the Parent Pages still exist, and if so, do that match the new stories? YES! You can find them easily on the Godly Play Digital site. Godly Play is now an international “program” located in over 43 countries including Russia, Israel, Australia, Cuba, Finland. The future is ever-expanding as more discover the power of sitting on the floor and sharing sacred stories, parables, liturgical action, and silence with people of all ages. And the materials are beautiful, showing how precious it is to work with children alongside God’s story. Interested in more? The Godly Play Foundation’s website has more information, including trainings. The Godly Play Resources site offers materials. Many are now using Godly Play in hospital settings with children as well as with those with dementia. Rebecca McClain has written Graceful Nurture: Using Godly Play with Adults. And the Godly Play Facebook page offers ideas for enhancing your program.